Cave people drew on the walls. Ancient Egyptians buried their royal leaders with their lavish gilded and upholstered furnishings. Since the beginning of recorded history, there is evidence people enjoyed decorating their homes. Today, we’re no different, as we use our surroundings to reflect who we are, both as a society and as individuals. Sometimes, though, we need a little help. If you need some small living room ideas, then you have come to the right place! In the early part of the 20th century, people with impeccable taste began offering their decorating services to those with less of an “eye.” A homemaker looking for small living room ideas (though they probably would have called the room “the parlor” back then) might seek the assistance of such a person. The first to advertise professional services, under the moniker of “interior decorator,” was a well-known icon of mid-century style named Dorothy Draper. Over time, distinctions evolved between those who merely decorated an existing space and those who exerted a stronger influence. That influence became known as interior design. Though it’s great to have a professional at your side as you explore small living room ideas, it’s not necessary. 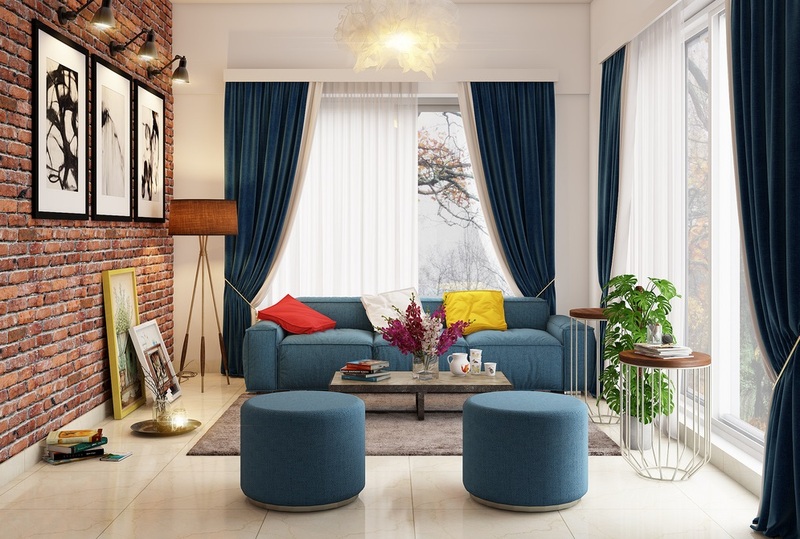 If you’ve got an eye for what you like, the ability to source the pieces that will make your space pop and a sense of adventure, then do-it-yourself interior design could be exactly what your home needs. Armed with these tools, you can generate your own small living room ideas that reflect your personality and style. If you want learn to build an engine, take one apart. Finding small living room ideas that will work for your space can feel like the same process. When you come across an image you like, or see a room in someone else's house, take the time to pull apart why you like it. What appeals to you? 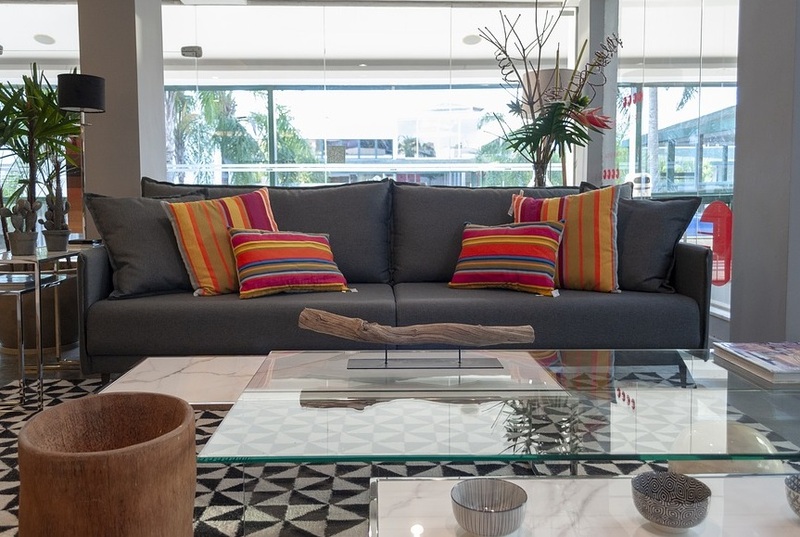 Is it the simple line of the sofa or the rustic charm of the coffee table? Do the window treatments make the room? Is it the room's symmetry or its contrast? Studying the small living room ideas that speak to you will help you clarify and define what it is you're looking to achieve. Will It Work for Your Space? If the room you love is sun-drenched, and yours is in a windowless basement, you'll have to get mighty creative to copy that look. But just because you can't duplicate it doesn't mean it can't inspire you to have some transformative fun. Hang large, sun-drenched landscapes lit to look as if the bright sky is glowing within them. Cover the walls with light shears lit behind from the top to create the illusion the world is right outside that curtain. Before you decide what's right for you and your basement home, though, consider your lifestyle. There are lots of things to consider when you contemplate small living room ideas. How is the space going to be used? Are you a bedroom dweller, who rarely sits in the living room unless there's company over? Do you hunker down and chill out to watch TV for hours after work? Is your fabulous Great Dane puppy going to be chilling out with you, too? Are you likely to have friends over to watch the game and drink beer? Consider all this and then choose from among small living room ideas accordingly. 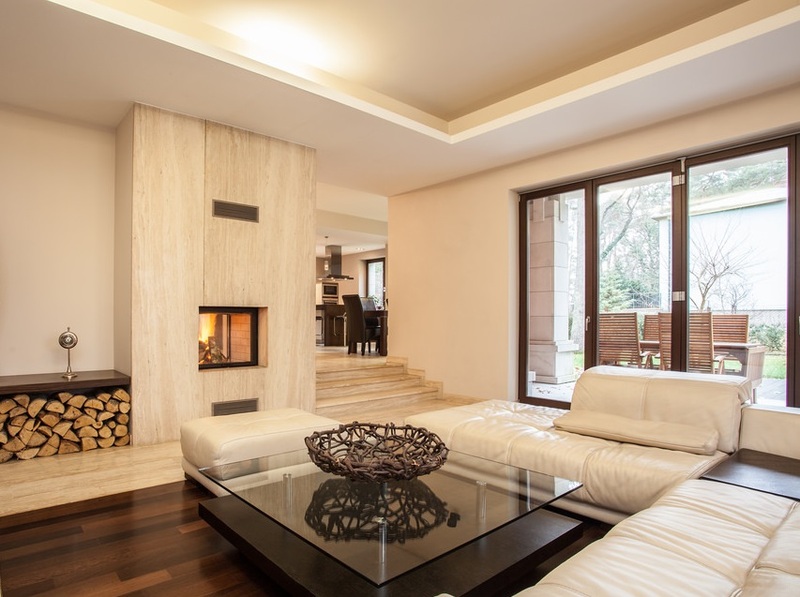 Your lifestyle is key to your living room style. Suppose you've fallen in love with a sofa you saw in a magazine, the price of which is higher than your car. What can you do? If it's "the one" and you've got the resources, buy it! If not, you still have options. Keep a photo of Miss Perfect Couch with you as you visit local furniture shops, and if you don't see something similar on the floor, ask. A picture is worth a thousand words. Send the picture to thrift shops, vintage shops, anyplace where used furniture comes up. Many of these places keep a "wish list" and are happy to contact you if something similar comes in. Don't be in a hurry to fill the gap; use temporary furnishings while you're sourcing the perfect piece. 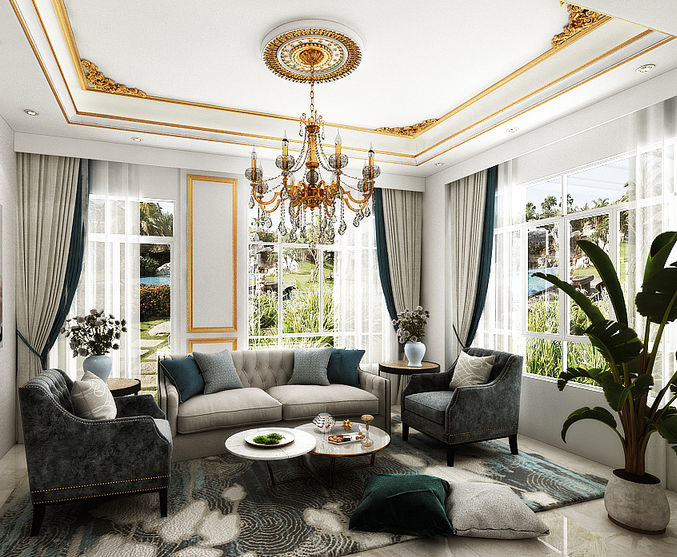 As you go through this list of small living room ideas, you're sure to notice one of the most exhilarating and frustrating things about interior design: there is no right answer. You'll see that nearly every suggestion on this list has an opposite, also on the list. Ultimately, only you can decide. The traditional suggestion for small spaces always has been to decorate with neutral light colors, like shades of white and beige. 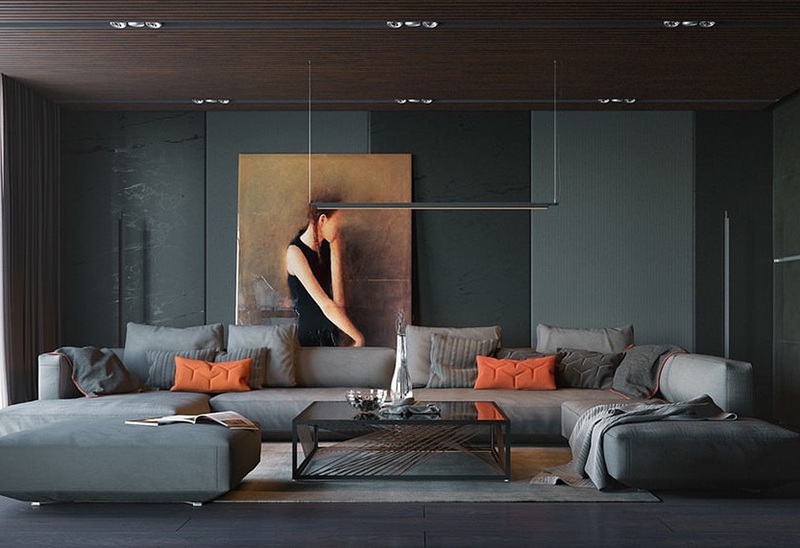 The idea behind this is that lighter colors reflect more light, making the room look and feel larger. Therefore, keep furnishings, walls and floors in the white and beige families to follow this trend. The opposite of the suggestion above, this theory is that walls painted a dark shade enlarge the room because their lack of reflectiveness creates depth by keeping the eye from noticing the flat surface. Pairing dark walls (try a warm brown like Aged Whiskey from Ralph Lauren) with light floors (a white shag, maybe) and furnishings adds both drama and a certain coziness. Which leads right in to the next of our small living room ideas. Create a cocoon that wraps around the people sitting in the room by moving furniture closer together into an intimate arrangement. It doesn’t make the room look larger, but it makes it more inviting. Invite bright color into the mix. 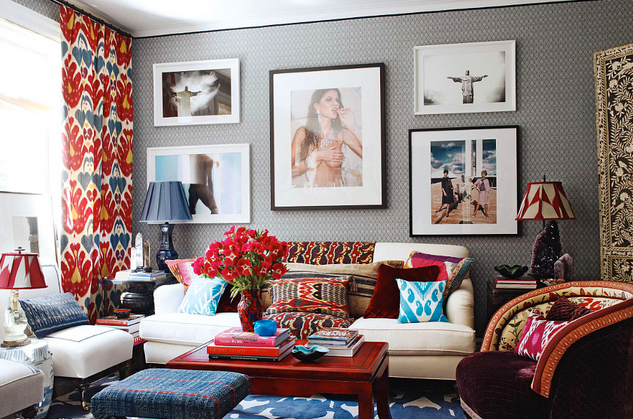 Again, bright colors and bold patterns won't make your room seem bigger. With this option, we're going in the opposite direction and celebrating the room's small size. Push the envelope and go for eccentricity with patterned wallpaper, or limit your pop to one item, like a boldly upholstered chair. 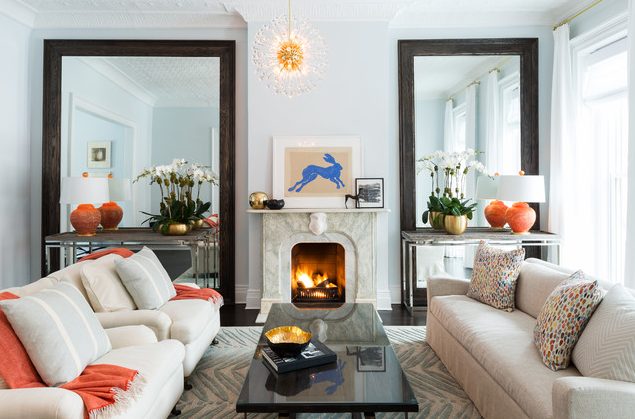 Either way, the brights draw the eye, creating a special "nook," separate from the rest of the house. A glass tabletop has a way of disappearing. Other transparent furnishings, like Philippe Starck’s famous Lucite “ghost chairs,” can have the same effect. Paired with items that don’t look weighty, your room can practically float. This is one of those small living room ideas that is truly a combination of personal taste and practicality: glass-topped furniture isn’t going to work for everybody. If it works for you, this can be a great way to go. Mirrors. They appear on every list of small living room ideas. Some people feel this is because the reflected space makes the room feel twice as large, but the most significant contribution mirrors make is to reflect and move light. If you can send natural light into a corner that didn’t have any before by way of a mirror, then you may see your tiny room come alive. Traditionally, designers have sought to keep small rooms from looking cluttered by using smaller scale pieces of furniture. This way, you can have just as much seating as a larger room, even though the space is small. Opt for a love seat instead of a sofa, and armless chairs instead of arms. The coffee table might be replaced by a small, low pedestal or even two small ottomans that can serve as additional seating. The problem with this is that, too often, several small pieces of furniture actually create a sense of clutter in the room. If you need to accommodate several guests at once, this might be your best option, but make sure you step back and look at what you’ve got, subtracting when it starts to feel out of control. There are many attractive folding furniture options these days; check them out for extra seating or serving areas. This is why some designers will tell you to choose a few significant pieces of a larger scale instead of several small ones. This applies not only to the furniture, but to the floor, where a large rug that covers all of or almost all of the square footage can be a great definer of space, especially combined with a few comfort pieces. A highly reflective ceiling fixture, like a small crystal chandelier, will draw the eye upward, creating a sense of scale. Draperies can also be used to give verticality to the room: hang curtains at the top of the wall, rather than the top of the window. For double windows, consider a wall-length set of long draperies. Some designers advocate for emphasizing the coziness of a small room by angling furniture. If done right, placing furniture on an angle can really open up a space, making it feel less compartmentalized and giving it more flow. Be careful, though, because this is an effective illusion. In reality, angling your sofa may waste the space behind it, which is no longer functional. If you can spare the footage, and you like the look, this can be one of the most effective small living room ideas. Even opposite suggestions can be used in combination with each other to achieve your desired effect. The only way you can fail with small living room ideas is through lack of planning. Most of us just let a room evolve, but nine times out of 10 that’s a recipe for clutter and disorganization. Make a choice, make a statement and, most of all, make it your own.